Special Frontier Force as a military organization symbolizes the recognition of Tibet as a Sovereign Nation and it specifically acknowledges that the Institution of Dalai Lama and the person holding this title as the true independent, ruler of Tibet apart from being a high-ranking priest of Tibetan Buddhism. SPECIAL FRONTIER FORCE AT THE WHITE HOUSE: The title ‘Dalai Lama’ is not simply about the person known as Tenzin Gyatso. The term is applied to a Sovereign, political institution of Tibet that provides a system of governance based upon popular belief in traditional Tibetan Buddhism. The Tibetan soldiers who serve in Special Frontier Force do not acknowledge any superior authority and they owe their total allegiance to their Supreme Commander called Dalai Lama. Special Frontier Force is a military organization jointly founded by the United States, India, and Tibet during the presidency of John F. Kennedy. The US and Indian nationals who serve in this organization derive their authority over the Tibetan soldiers of this organization by virtue of the power granted by Dalai Lama the Supreme Commander of the Tibetan Force. On March 31, 1959, His Holiness the 14th Dalai Lama had arrived in India as a political exile and was granted political asylum in India. He had established the Tibetan Government-in-Exile which is based in Dharamsala of India. 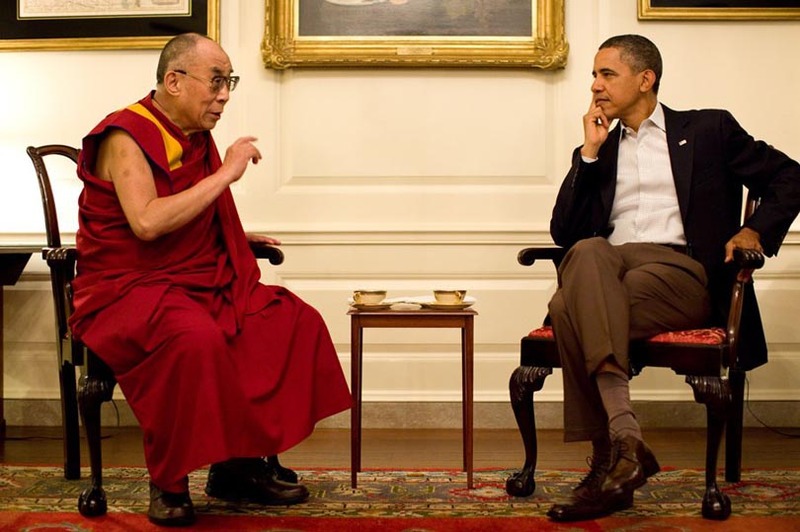 SPECIAL FRONTIER FORCE AT THE WHITE HOUSE: His Holiness the 14th Dalai Lama speaking with US President Barack Obama during their meeting in the Map Room of The White House in Washington, DC on July 16, 2011. The United States often describes His Holiness the 14th Dalai Lama as a spiritual, and cultural leader of Tibetan people without explaining the cultural aspects of Tibetan governance. In Tibetan Culture, the title Dalai Lama is given to the Leader or Chief who provides a system of Government. The Dalai Lama has the same executive powers that are typically exercised by the Head of State of any independent, sovereign nation. The title of Dalai Lama is the equivalent of titles such as President or Prime Minister who hold the executive power in nations like the United Sates, India, and Great Britain. 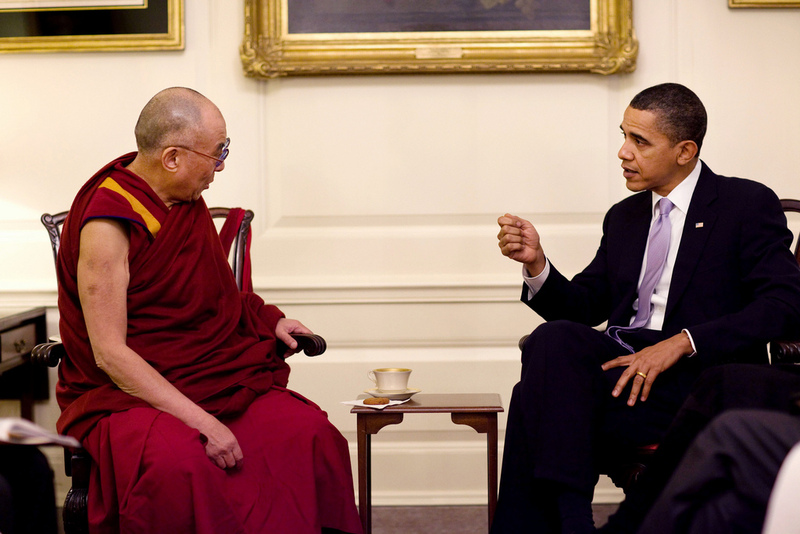 SPECIAL FRONTIER FORCE AT THE WHITE HOUSE: His Holiness the 14th Dalai Lama speaking with US President Barack Obama during their meeting in the Map Room of The White House, Washington, DC on February 18, 2010. His Holiness the 14th Dalai Lama who had visited The White House in Washington, DC on February 21, 2014 and on numerous other occasions meeting with various US Presidents during the last 30 years, is the rebirth of a long line of “TULKUS” who descend from the Compassionate Bodhisattva named “AVALOKITESVARA.” In Tibetan Buddhism, a “TULKU” is a particularly high-ranking Lama, of whom the Dalai Lama is one. But, it is very important to recognize Dalai Lama as a ‘Hierarch’, a Leader or Chief who provides a system of Government. The Sovereign, political institution of Dalai Lama is formally known as ‘Ganden Phodrang’. The succession of this ‘hierarchy’ is maintained by the discovery of a child born soon after the death of a Dalai Lama into whom the ‘Spirit’ of the deceased has entered. 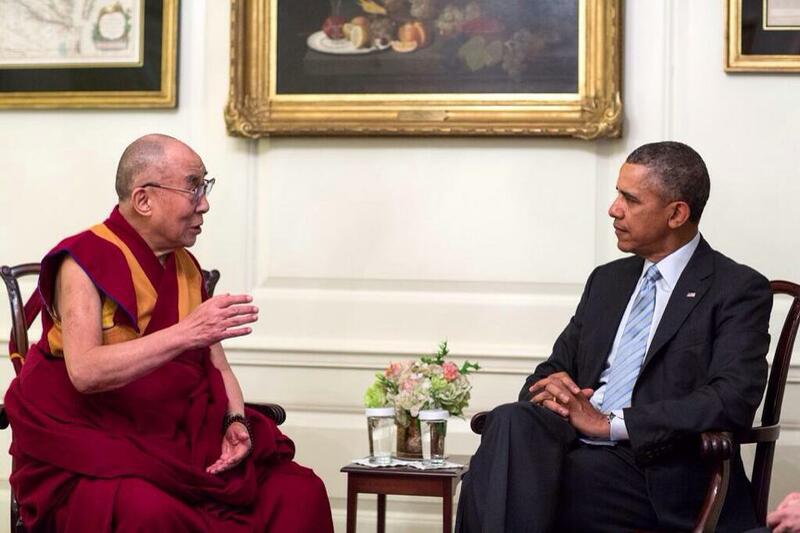 SPECIAL FRONTIER FORCE AT THE WHITE HOUSE: Tenzin Gyatso(b. 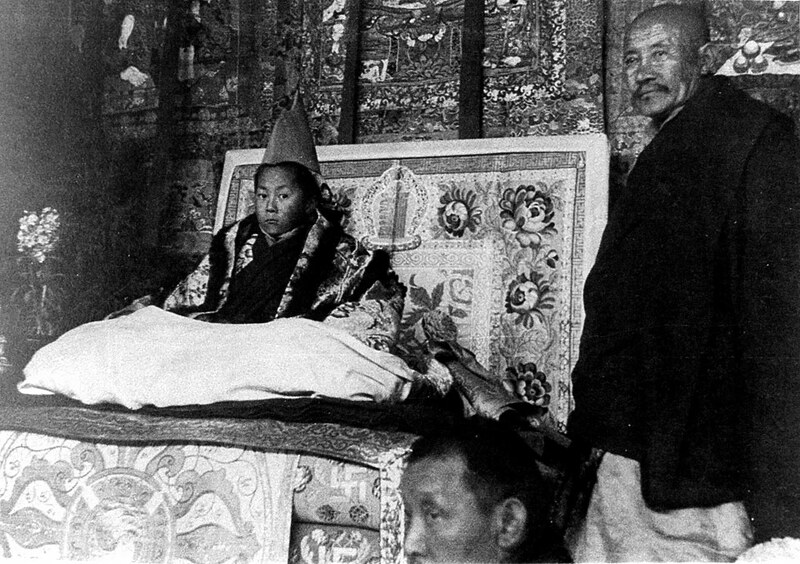 1935), the 14th Dalai Lama’s Enthronement Ceremony on 22 February, 1940. Dalai Lama is the ruler of Tibet. SPECIAL FRONTIER FORCE AT THE WHITE HOUSE: The 14th Dalai Lama sitting on the throne in this photo image of 1956-57 while Tibet came under Communist China’s military occupation during 1950. With military assistance from the United Sates and India, Tibetans had revolted against the Communists and the Dalai Lama fled into exile when the massive Tibetan Uprising failed during March 1959. 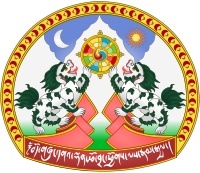 SPECIAL FRONTIER FORCE AT THE WHITE HOUSE: The Sovereign, political institution of Dalai Lama is formally known as ‘Ganden Phodrang’ and this is the Official Seal of the Tibetan Government. The Great Fifth Dalai Lama, Lobsang Gyatso(1617-1682) founded the Ganden Phodrang Government of Tibet in 1642. During his reign, the Potala Palace on the Red Hill in Lhasa was built. The successive Dalai Lamas have headed the Tibetan Nation for nearly four centuries. The name “DALAI” is the anglicized version of Mongolian word “TA -LE” which is used as an honorific title and the equivalent of the Tibetan “RGYA-MTSHO” meaning Sea or Ocean which suggests the breadth and depth of wisdom and the temporal power of Dalai Lama on Tibetan way of life. 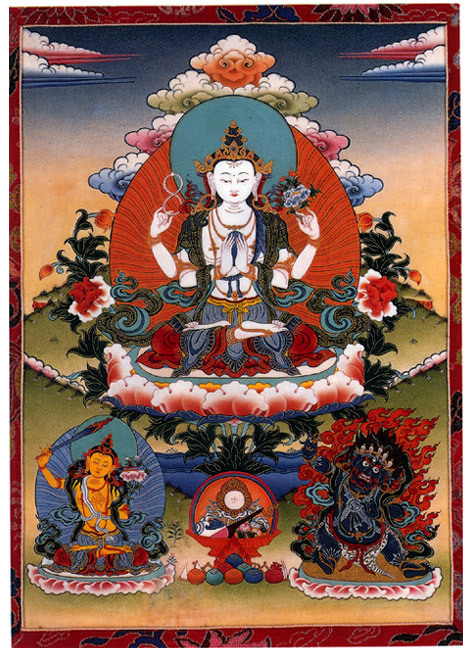 Tibetans call the Dalai Lama as ‘Rgyal-ba Rin-po-che’ which means ‘Great Precious Conqueror. The Third Dalai Lama, Sonam Gyatso(1543-1588) had received this honorific title during 1578 while on a visit to the Mongol Chief Altan Khan who had applied this title retrospectively to the previous hierarchs making Gendun Drupa(1391-1474) the First Dalai Lama, and Gendun Gyatso(1475-1542) who became the Second Dalai Lama. This strong hierarchical organization of Tibetan Buddhism and the governance of Tibet has become the focus of Tibetan Cultural Identity and Tibetan National Character. The Eighth Dalai Lama, Jamphel Gyatso(1758-1804) fought a war with the Gurkha troops from Nepal and had defeated them with some assistance from Manchu China. Tibet existed in a serene and unperturbed state for several centuries even while Tibet came under the control of the Yuan or Mongol Dynasty of China. In 1644, Chinese Manchu, Qing or Ching Dynasty was established and Tibet during the reign of its Seventh Dalai Lama, Kelsang Gyatso(1708-1757) came under Manchu China’s nominal protection although for the most part, the Tibetans retained full control over their internal affairs. The Manchu China Dynasty was overthrown in 1911 and the 13th Dalai Lama, Thupten Gyatso(1876-1933) had expelled the Manchu China’s troops from Tibet, promptly reasserted Tibet’s full Independence. 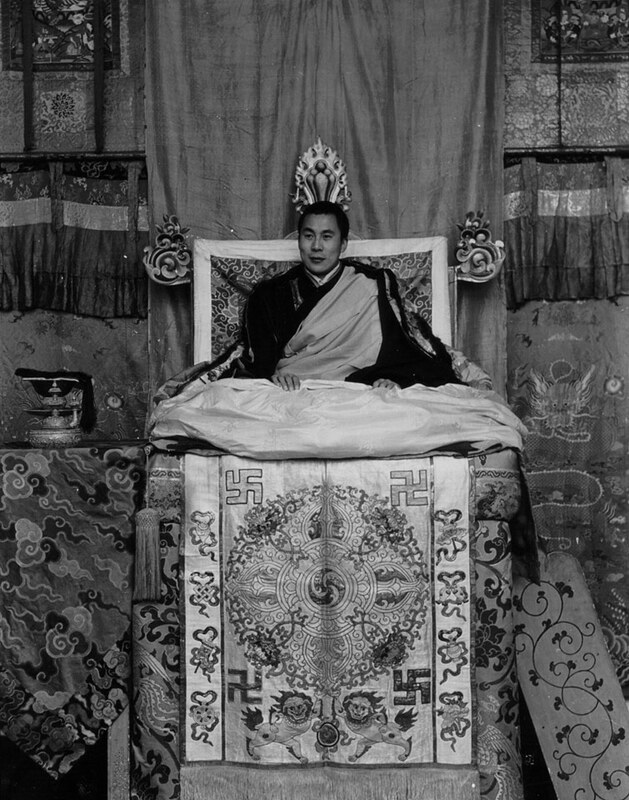 The Great 13th Dalai Lama ruled with full personal authority and reigned as head of a Sovereign State. He had further formally announced Tibet’s full Independence on February 13, 1913. 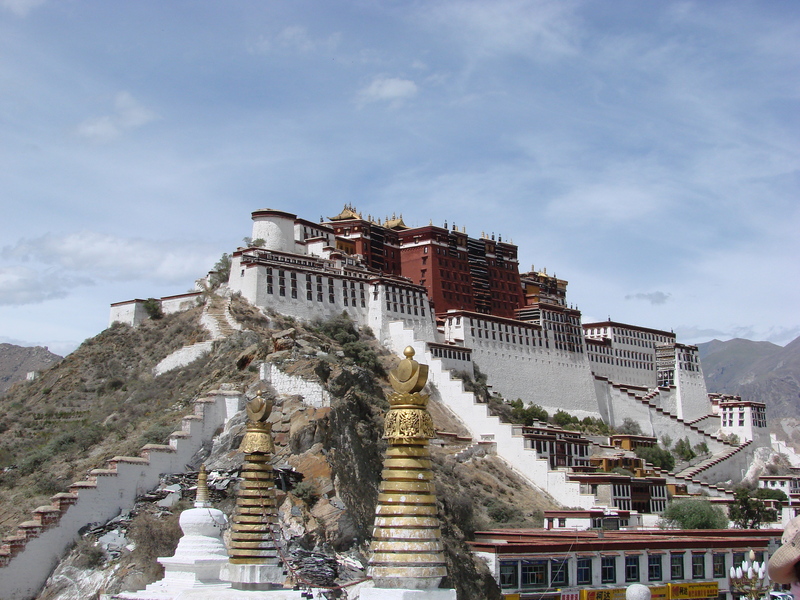 SPECIAL FRONTIER FORCE AT THE WHITE HOUSE: The Potala Palace on the Red Hill in Lhasa was built during the reign of Lobsang Gyatso(1617-1682), the Great Fifth Dalai Lama. The Sovereign Authority of the Dalai Lama as the Ruler of Tibet was established before the US President became the Chief Executive of the United States. SPECIAL FRONTIER FORCE AT THE WHITE HOUSE: Special Frontier Force was founded by the United States, India, and Tibet during 1962 to defend the Tibetan Nation represented by this Flag. The Command and Control of the Tibetan soldiers, the chief fighting element of the Special Frontier Force is based upon the Supreme Authority of the institution of Dalai Lama. 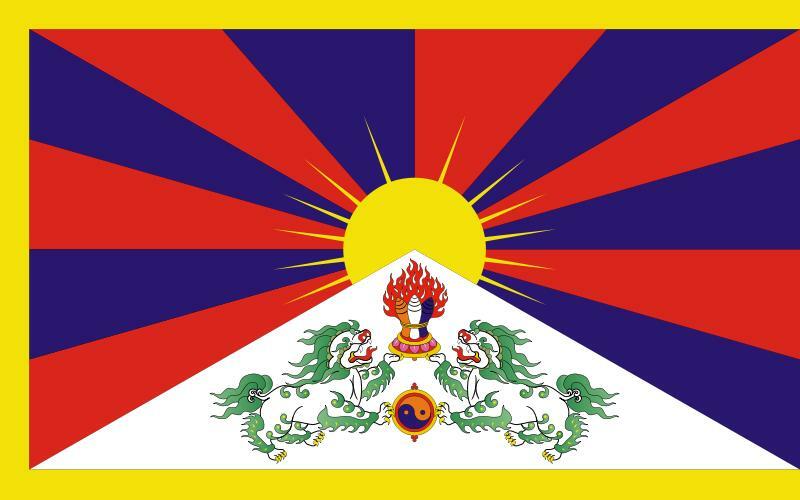 Tibetans celebrate the 13th day of February as Tibetan Independence Day in recognition of their sovereignty. Being ‘Sovereign’ means that Tibetans do not acknowledge any superior and being a Sovereign Nation, Tibet has the full power to levy War, conclude Peace, contract alliances, establish Commerce and do all other acts and things which independent states may have the right to do. For 39 years, from 1911 to 1950, Tibet had indeed existed as an Independent Nation and had signed the bilateral “Mc Mahon Treaty” in Delhi during 1914 following the ‘Simla Agreement’. During October 1950, Communist China’s People’s Liberation Army invaded Tibetan soil and Tibet has come under China’s military occupation. It will be incorrect to suggest that Tibet is a part of China. Tibetans do not acknowledge China’s rule and Special Frontier Force is a military alliance that symbolizes the Tibetan Resistance Movement to oppose the occupation of Tibet. I am pleased to share a few photo images of His Holiness the 14th Dalai Lama, the living symbol of the Tibetan Resistance Movement when he visited The White House in recent past. 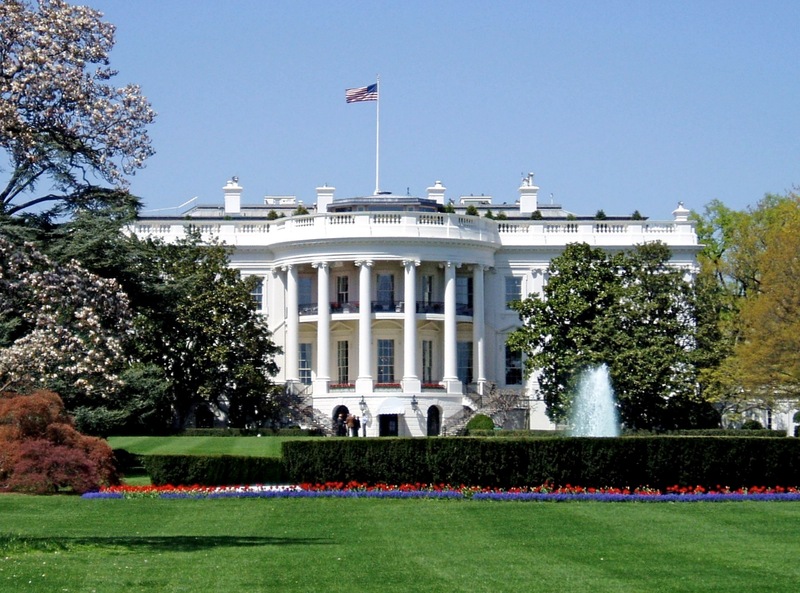 SPECIAL FRONTIER FORCE AT THE WHITE HOUSE: The construction of The White House started in 1792. The United States started diplomatic relations with Tibet as it got alarmed by the Communist takeover of China during 1949. However, the 14th Dalai Lama is the first Dalai Lama who has ever visited The White House. 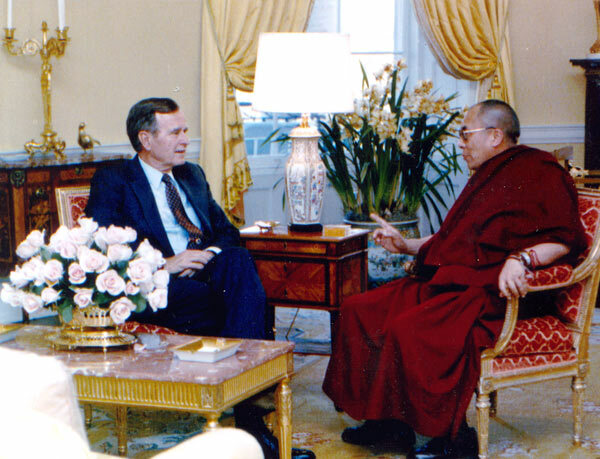 SPECIAL FRONTIER FORCE AT THE WHITE HOUSE: On April 16, 1991, the 14th Dalai Lama met with US President George H.W. Bush during his first visit to The White House. President Bush had served as the Director of Central Intelligence Agency during 1976-77 and was directly associated with the military organization called Special Frontier Force. 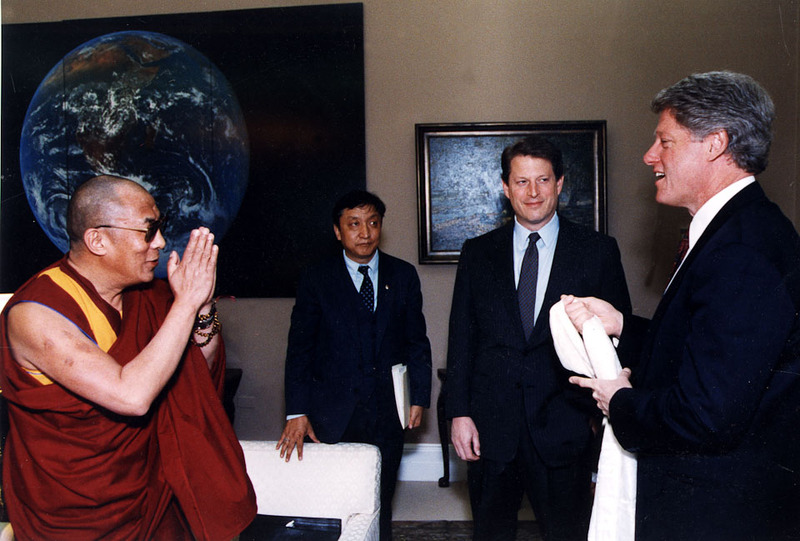 SPECIAL FRONTIER FORCE AT THE WHITE HOUSE: The 14th Dalai Lama met with US President Bill Clinton on June 20, 2000 at The White House. 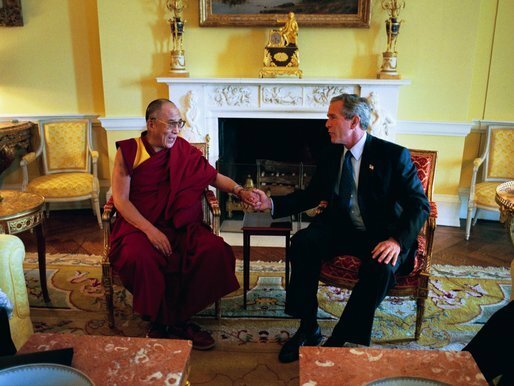 SPECIAL FRONTIER FORCE AT THE WHITE HOUSE: His Holiness the 14th Dalai Lama speaking with US President George Bush during their meeting in The White House on September 10, 2003. 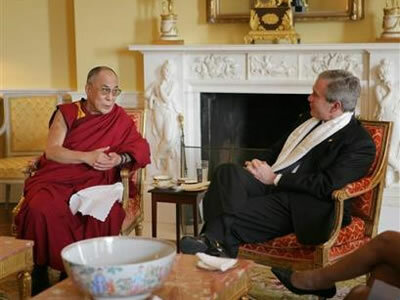 SPECIAL FRONTIER FORCE AT THE WHITE HOUSE: His Holiness the 14th Dalai Lama speaking with US President George Bush during their meeting at The White House in Washington, DC on November 09, 2005. 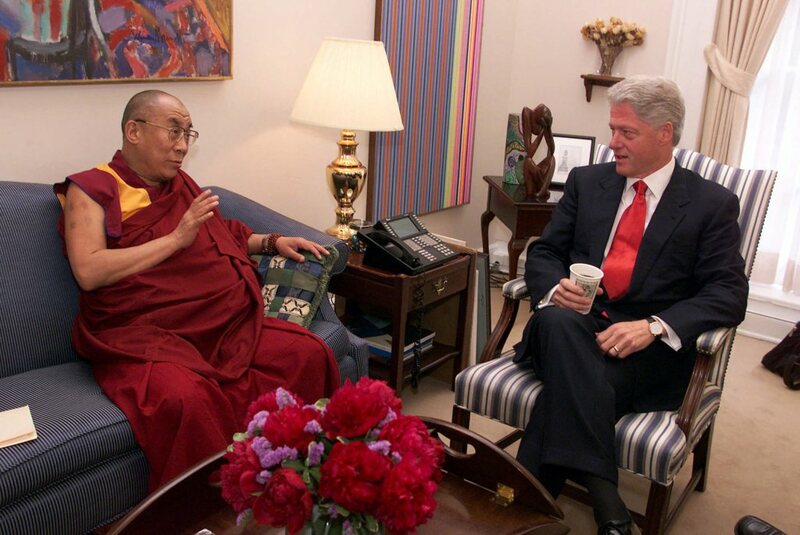 SPECIAL FRONTIER FORCE AT THE WHITE HOUSE: His Holiness the 14th Dalai Lama speaking with US President Bill Clinton during their meeting in The White House in Washington, DC. I would like to respectfully submit to my readers that the term “DALAI LAMA” recognizes the person who represents the sovereign, political institution, the seat of Tibetan Government and Tibetan Sovereignty. Kindly permit me to offer you my “TASHI DELEK” greetings to all of you to seek your support for Tibetan Freedom from occupation.